Custom commission. 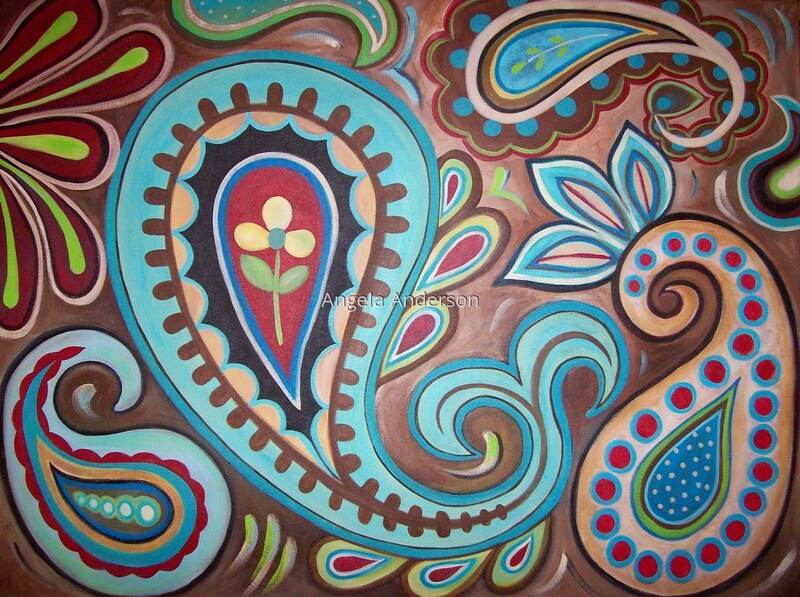 Paisleys in bright red, turquoise, aqua blue, green, black and cream. SOLD Email to commission a similar piece.